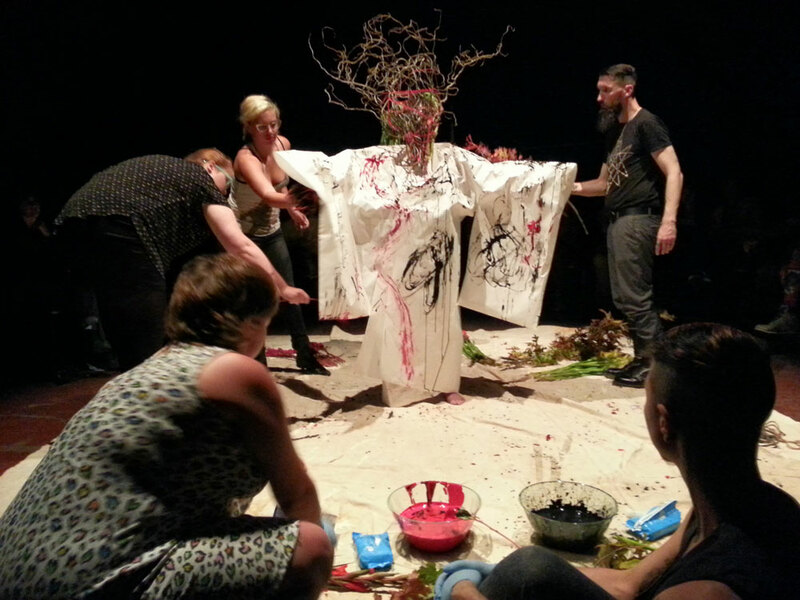 The Evoco project is an ongoing, multi-phase project about how we create, hold, interpret and alter memory, as subjective experience and as a neurological process. Yamamba lives in the dusky edge of the primordial, on the fringe of civilization’s subconscious. 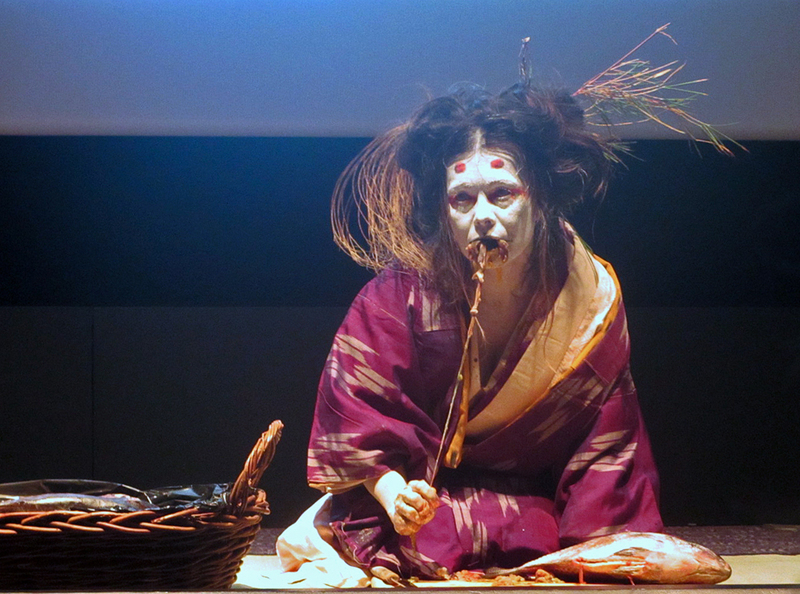 The Yamamba, or the mountain hag, is a character that’s been with Midori since 1998. 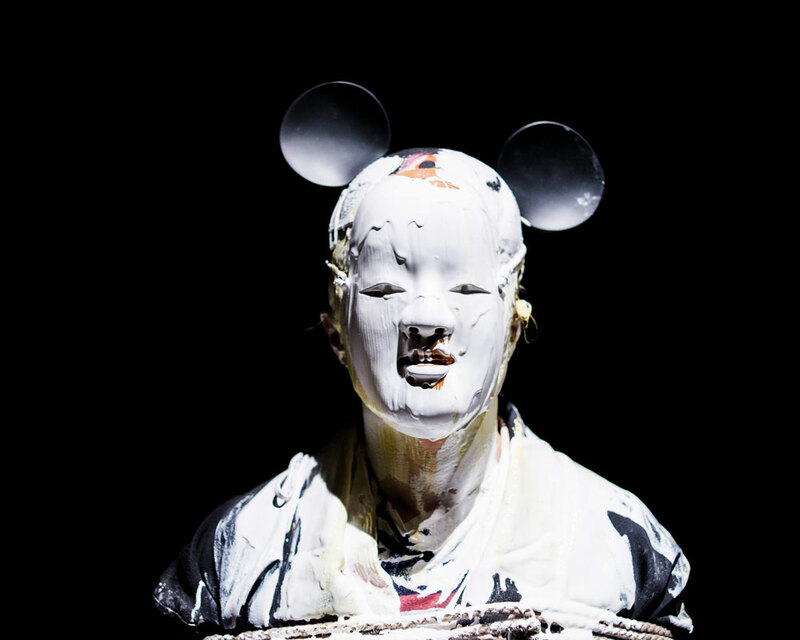 She appears in many of Midori’s performances, often in site-specific pieces. This fully interactive piece explores the indelible marks that strangers leave upon our lives. 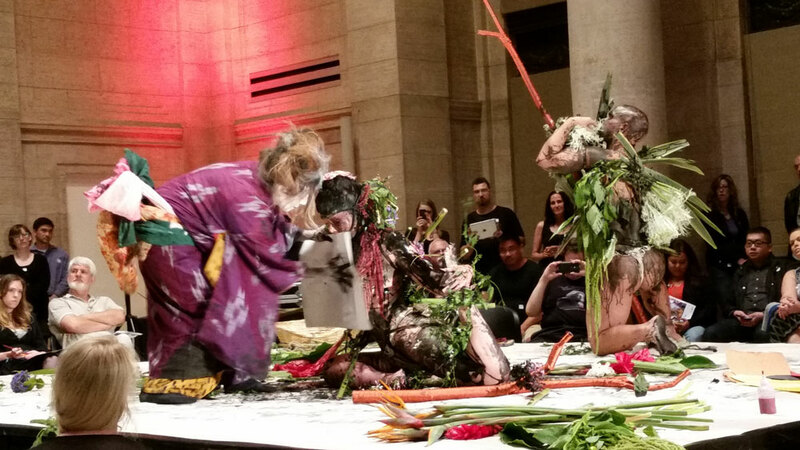 The audience is invited to use flowers and other objects to paint on an other-worldly being. At that moment the audience becomes the artist and they are audience no more. 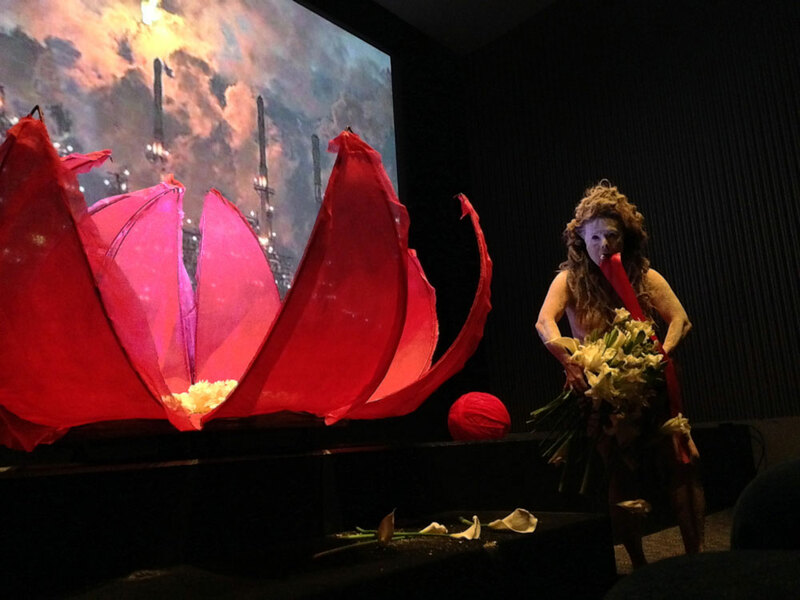 Commissioned by the Asian Art Museum of San Francisco to create an interactive party-as-performance-art as the opening night gala for the Floating World exhibition. The party, titled “Seduction,” brought the attendees into the spirit of revelry and the reinterpretation of the pleasure quarters depicted in the 17th century scroll.